Ferrari has another item in the line, which will be formally introduced on September 17 at a special occasion held at their headquarters in Maranello. Teased in an exceptional segment of their official site that is normally held for the individuals who have no less than one Prancing Horse in their accumulation, this new vehicle is codenamed the Ferrari F176, according to the name of the picture. 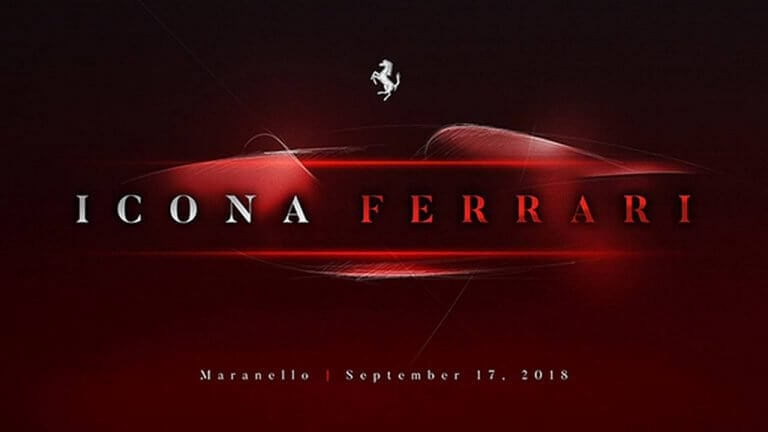 Presently, the real mystery doesn't uncover that much, other than the previously mentioned unveiling date and 'Icona Ferrari' lettering, with 'icona' being Italian for 'icon'. Nonetheless, we could be taking a gander at a limited run supercar in light of a present item, with Motor1 guaranteeing that it may utilize the 812 Superfast as a beginning point. Supposedly named the Ferrari 812 Monza, it will most likely embrace a different styling outwardly and in the cabin, and also some mechanical improvements to underline its limited edition position, if that is without a doubt what it is. In spite of being only barely over a month from its official introduction, no one outside Ferrari knows whether it really has more power than the 812 Superfast. The successor of the F12 Berlinetta utilizes a naturally aspirated 6.5-liter V12 engine, wedded to a double clutch seven-speed gearbox. The 800PS (789hp/588kW) and 718Nm (530lb-ft) of torque are altogether directed to the back wheels. The 812 Superfast goes from rest to 100km/h (0-62mph) in only 2.9 seconds and up to a best speed of 340km/h (211mph).